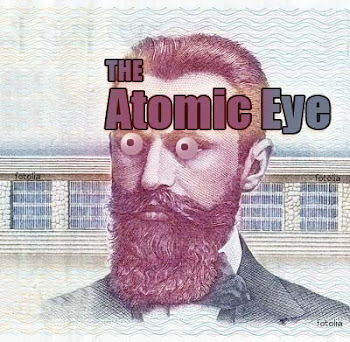 The Atomic Eye: Now you can Draw for Money! Boy Oh Boy, where do I sign up? Originally uploaded to flickr by Radio_Rover. DO YOU LIKE ART? Draw for money! Our simple method proves you can learn to draw in your spare time. 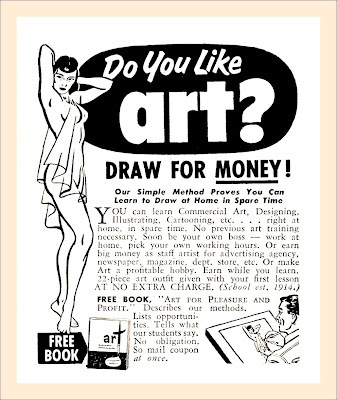 You can learn Commercial Art. 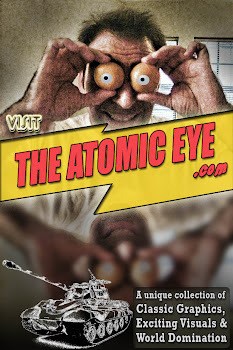 Designing, Illustrating, Cartooning, etc. 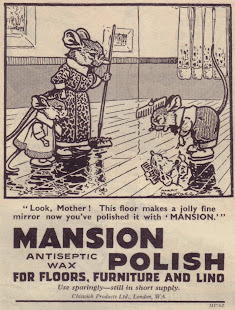 ... right at home in spare time. No previous art training necessary. Soon be your own boss - work at home, pick your own working hours. Or earn big money as staff artist for advertising agency,newspaper, magazine, dept. store, etc. Or make Art a profitable hobby. Earn while you learn. 22-piece art outfit given with your first lesson. AT NO EXTRA CHARGE. (School est. 1914.) FREE BOOK, "Art for Pleasure and Profit." Describes our methods, Lists opportunities. Tells what our students say. No obligation. So mail coupon at once. More info about careers in Art.